Chesapeake, VA. 18 March 2019 –Aviation Maritime Support Services LLC (AMSS) Joint Venture has been awarded an 8a, cost-plus-fixed fee, indefinite-delivery/indefinite quantity multiple award contract with firm-fixed-priced ordering provisions for engineering, technical and logistics support services for Naval Surface Warfare Center Philadelphia Division’s (NSWCPD) Machinery Alterations Program. AMSS is a Joint Venture with AVMAC LLC as the Managing Member. The mission of NSWCPD is to transition hull, mechanical and electrical machinery technology to the Navy active/reserve fleet, and support various sponsors for Navy modernization programs. This requires development and execution of various ship changes and ship alterations to upgrade and maintain in a more cost-effective and timely manner the system/equipment readiness of various Navy HM&E and electronic systems. The engineering and technical support services for this requirement are primarily small, minimally intrusive, turn-key equipment level modernization projects that are generally accomplished pier-side at the various homeports outside of Chief Naval Operations availabilities. The installation process consists of several phases, including advance planning, ship check, assessments, fabrication, prototype evaluation and installation, final design shipboard installation, testing and completion. AVMAC is an aviation and maritime consulting firm that performs aviation and maritime-related program support, aeronautical and ship maintenance, repair and overhaul and aviation program analysis for Support Equipment. 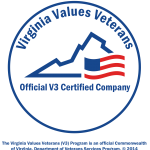 AVMAC is a certified Service Disabled, Veteran Owned Small Business (SDVOSB), a SBA certified 8(a) Disadvantaged Business and a Disadvantaged Business Enterprise (DBE).